me and amber's new range of homewares is just perfect. Their tea towels are made from high quality 100% Russian linen, and are screen printed in Australia with me and amber's distinctive designs and colour palette. Using stylised silhouettes, careful typography, and creative negative spaces, they create contemporary, edgy graphics for homewares you'll love. 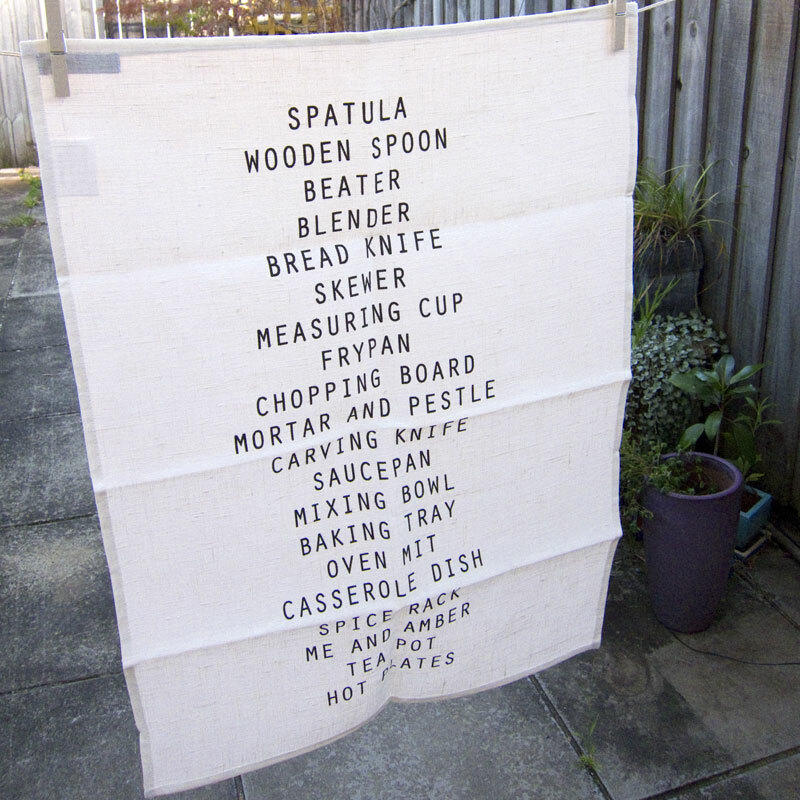 The Kitchen tea towel is bold and playful, with a long list of kitchen utensils screen printed in a typeface with a 'utilitarian' deel... It measures 50x70cm, is screen printed with water-based ink, and comes packaged with string and tag.